stays for the mission that we value everyone’s right to be heard and to receive emotional support at their time of need and we believe that listening is a key competence to provide emotional well-being in private and business situations. Listening Skills is a training concept that had been developed from 2015 to 2017 during the project “Empowering - Educational path for emotional well-being”. The project was supported by the European Union through the Erasmus+ program. 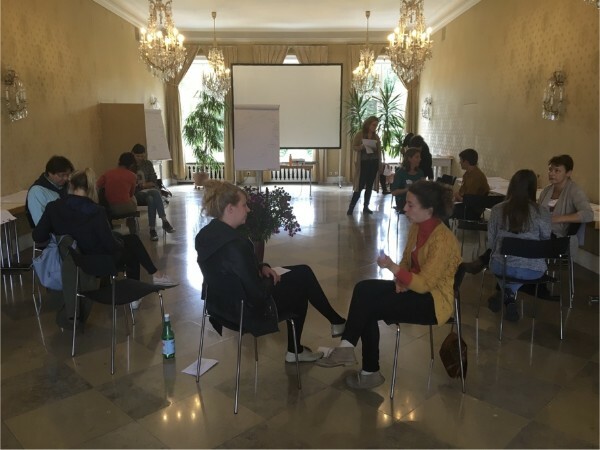 It was held and developed by organizations related to the field of emotional support and crisis intervention (TES - Telephone Emergency Services) in collaboration with research institutes from four different countries: Germany, Hungary, Italy and The Netherlands. Being a good listener is one of the most important and amazing life skills that anyone can achieve. Yet not many of us know how to do it because nobody has taught us and even fewer have had the experience of really being listened to. Like most things, it’s about education. Luckily there are some basic practices than can help everyone navigate in our daily interactions to ensure better communication. It’s all about mastering emotions, juggling values, mirroring needs, respecting maps of reality, arranging information and asking good questions. These skills and abilities were explored in the project EmPoWEring!